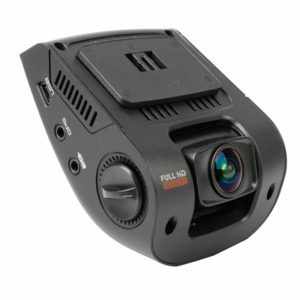 The Goluk T1 boasts a slick and unique design compared to the majority of dash cams in the price range. This subtle style isn't instantly recognized as a dash cam, so you don't need to worry as much about thieves eyeing up this fairly expensve bit of kit. 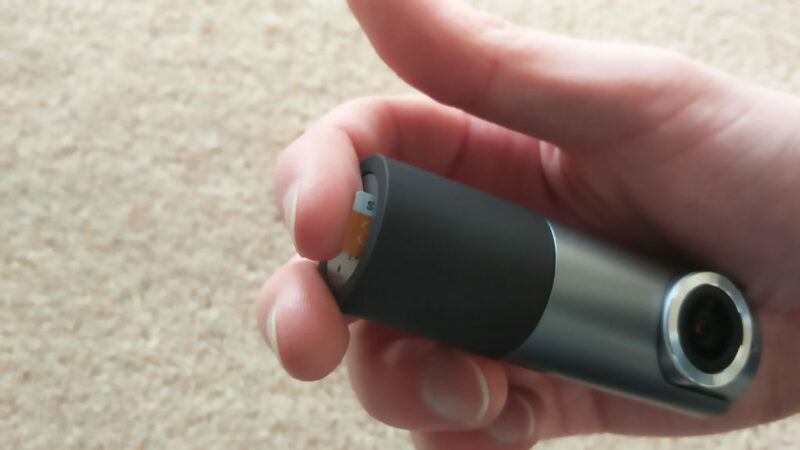 Perhaps the most unique feature of the Goluk T1 is the wireless remote. This button can be attached to any convenient place such as the steering wheel or dashboard, and will protect a 12 second video clip when pressed. The Goluk T1 comes without a screen, but videos can be viewed live on a smartphone, using the free Goluk app. 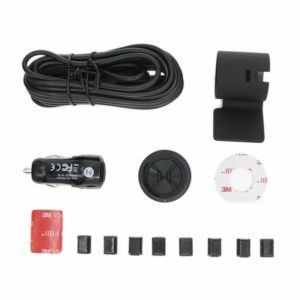 With decent resolution and a 3 year warranty from the seller, this car cam is certainly worth checking out. EDIT - At the current time of writing, Goluk offer a free microSD card with the purchase. If this is still being offer you should skip this first section. Most dashboard cameras are unable to store footage without a microSD card, so you will need to purchase one before setting anything up. The Goluk T1 accepts microSD cards up to 64GB, and we recommend a Class 10 card as they guarantee a write speed of at least 10MB/s, a requirement for 1080p video. 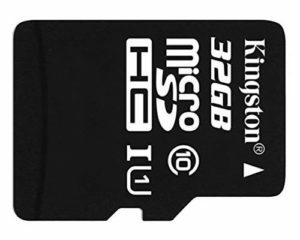 Our recommended cards for this dash cam are listed below, but most Class 10 microSD cards should work. 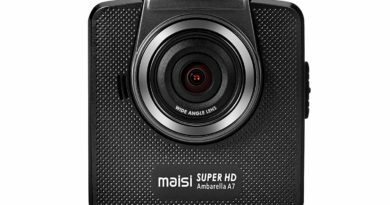 Full HD Recording - The high quality Ambarella chipset allows this camera to record Full HD 1080p video. 152 Degree Wide Angle Lens - The Goluk T1 comes with a 152° wide angle lens, allowing the dash cam to capture a very wide field of view. On the majority of roads, the camera will pick up the entirety of the road, and even the footpath at each side. 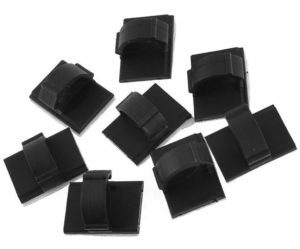 Adhesive Mounts included- In the box you will find an adhesive mount for the camera with a spare adhesive pad, two adhesive pads for the magicKey, and eight adhesive cable mounts. The dash cam mount can be firmly fixed to the windscreen, allowing you to easily slide the camera in or out. With the use of self adhesive mounts, the magicKey can be stuck anywhere in the car, and is used to manually save footage. Finally, the adhesive cable mounts can help with cable management, allowing you to easily fasten the wire underneath the glove box or above the windscreen. Loop Recording - The Goluk dash cam records 3 minute loops. When the microSD card fills up, the camera will begin overwriting the oldest footage that hasn't been protected. G-Sensor - This built in accelerometer can detect a change in gravity forces, and will automatically protect 8 seconds before the impact, and 8 seconds after. This footage will be stored in a folder titled "Urgent" and will be protected from being overwritten. There are three sensitivity settings on this camera, low, medium, and high (you can also turn the G-Sensor off). If the footage locks when driving over potholes and speed bumps, you may need to reduce the sensitivity of the G-Sensor. Live Broadcast - Using a smartphone, you can get a live broadcast using the built in Wi-Fi. The dash cam also allows you to play back videos on your phone, or change settings for the camera. With this technology, there is no need for a screen on the dash cam. MagicKey - Tap the magicKey remote button and the Goluk car cam will save a 12 second video (6 seconds before/6 seconds after). This makes it very easy to capture footage of important events that may not affect the G Sensor, such as reckless driving. These videos can be shared to Facebook, Twitter, Youtube, etc. 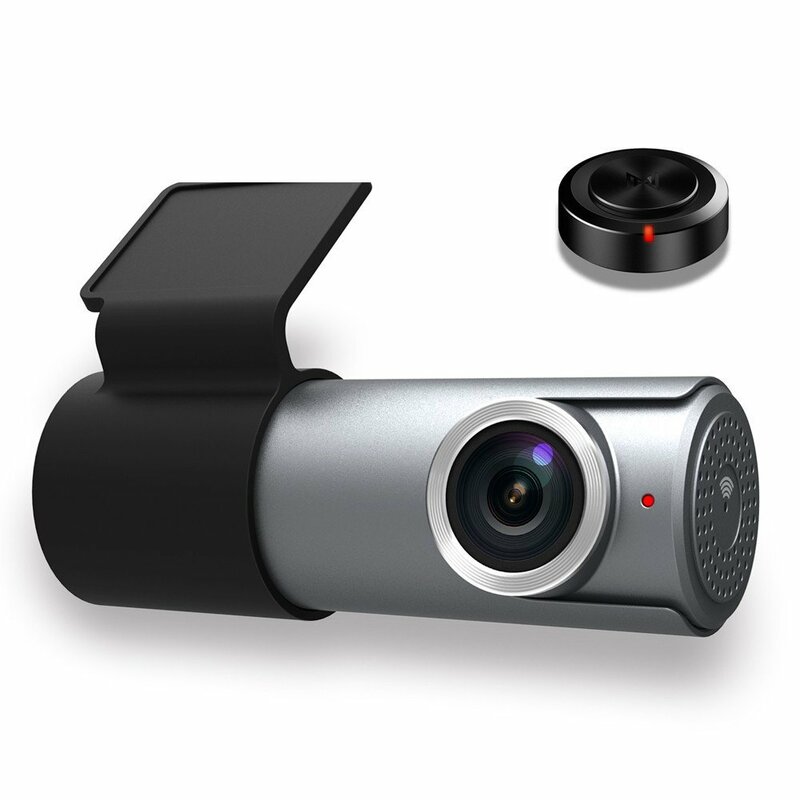 360 Degree Rotation - This dash cam can be rotated easily, allowing you to record inside or outside the car. The Goluk T1 features a minimalist design; you will only find one button on the dash cam. This is the “Reset” button, and can be found on the side. 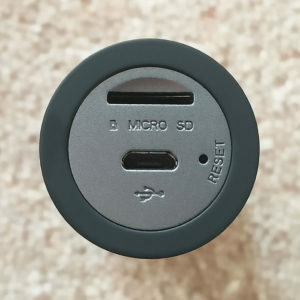 Using a pin, you can press and hold this button for 6 seconds to restore the factory settings, if the camera fails to connect to your smartphone. Next to this button you will find the slot for the USB cable, which is used to power the dash cam. The final slot is for the MicroSD card. This should be inserted with the text facing towards the camera lens, the gold teeth facing towards the back. On the opposite side, you will find the microphone. In the center of this, you will see a small light. This is the Wi-Fi indicator, which will flash blue as the Goluk is connecting to your smartphone. A solid blue light means there is a successful connection. 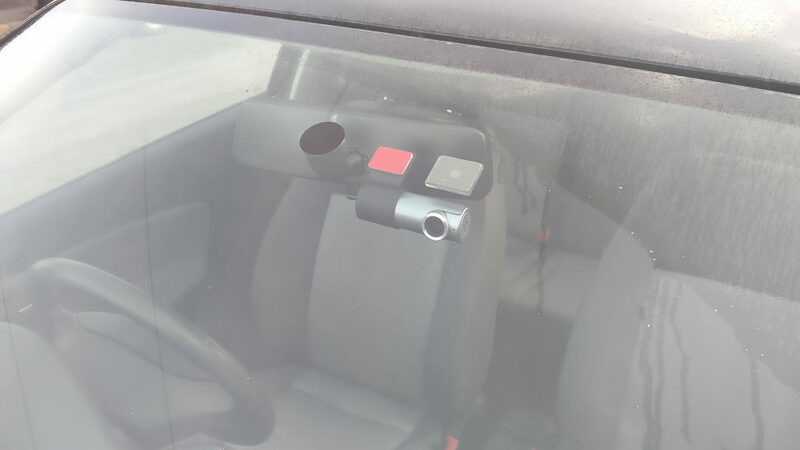 There is another light on the back, which will turn green when the dash cam is powered, and produces a steady red light as the camera is recording. The three holes next to this act as a speaker. There is one final light on the front of the dash cam, next to the lens. This flashes red when the security function is activated. The very first thing you need to do is insert the microSD card. It is very important to insert the card before switching it on, to avoid damage to either the card, or the camera. Simply push the SD in until it clicks. When you want to remove the card, push it again to eject. To begin installation, take your camera mount to your car along with the camera. If you have any rubbing alcohol to clean the windscreen take it with you, but this isn't vital. I suggest inserting the camera into the mount to begin with, so you can find a suitable place to stick it. Experiment with positioning of the dash cam on the windscreen until you find a convenient place. It is important to check the laws wherever you live, to make sure the dash cam placement won't be breaking the law. As long as the camera is on the passenger side, or behind the rear view mirror (and not obstructing any of the drivers vision) you should be fine. Remember to leave a small gap at the top of the windscreen, so the USB cable can fit above. When you are confident of the location, use the rubbing alcohol to clean the section of the windscreen you will be using. After this, peel off the protective film and stick the dash cam and mount to the windscreen. Once this is stuck on well enough, you can slide the camera from the mount (this can be a bit tricky) and continue firmly pressing it in place. Don't rush this step, once the adhesive mount is in place you will struggle to remove it. If you do misplace the mount there is another self adhesive pad in the box. 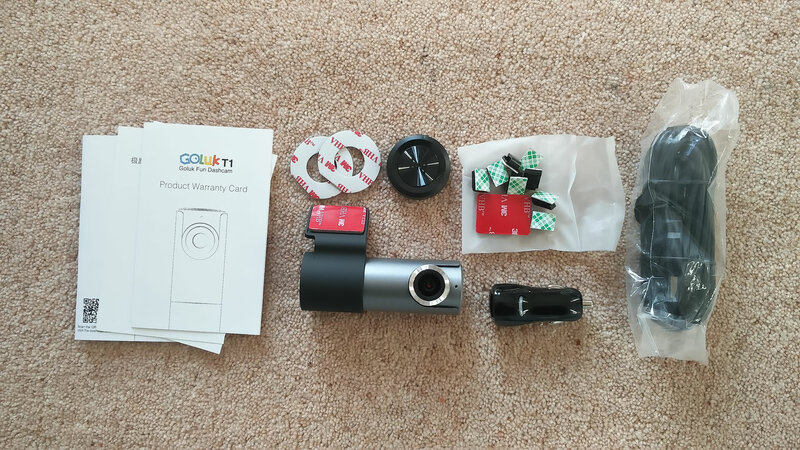 If you would like to fit the camera in a different car, Goluk offer an accessory kit for the T1 dash cam, which can be found here. The camera is very easy to slide on the mount, but it can be a little tricky taking it off. Make sure to press down the tab on the back, and slide the dash cam back out. You can easily twist the camera in the mount to change the positioning. As long as the lens is facing forwards and slightly down, you shouldn't have a problem. You can check this later from the live video on your smartphone. To begin, slide the dash cam into the mount. Experiment positioning the camera on the windscreen. When you find a place you're happy with, peel the cover off the adhesive pad, and firmly press down to stick it on. The next step is routing the cable as shown in the slideshow below. Your aim is to route the wire on the passenger side, so no loose wires will fall down and distract the driver. In most cars the cable can easily be tucked above the windscreen, then down under the rubber at the side. It is worth noting, there may be an airbag underneath this panel, so you may want to take the wire down the side of the windscreen instead, using tape or cable mounting clips. You can then bring the wire across the footwell, tucking it under the mat to avoid tripping over. As an alternative, you can use the cable mounts included in the box. I suggest sticking these underneath or above the glove box, to keep the wire out of the way. It is worth noting though, there may still be some loose wire at the end, so tucking it under the mat is often preferable. These mounts can also be stuck on the side of the windscreen, so you won't need to push the wire under the rubber. I did attempt to stick a few of these to the windscreen itself, but condensation made this tricky, and the mounts kept falling down. If you are going to use these on your windscreen make sure to properly clean and dry the surface. The next step will depend on how your car delivers power to the 12V socket. 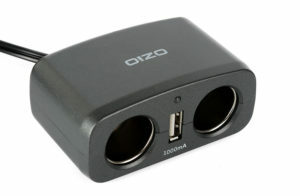 Plug the 12V adapter into the socket (the cigarette lighter receptacle), and insert the USB cable. If the camera isn't being powered, this means your car requires the ignition to be on for the 12V socket to be active. If this is the case, turn on the ignition, and wait for the camera to power up. Now the camera has switched on, you should hear an audio clip, and see the power light appear, indicating the camera has automatically started recording footage. If this isn't the case, or if you receive any sort of warning, you can visit the Product Questions Page to find assistance. If you don't want to connect your smartphone, the camera is now ready to go, and will record 3 minute loops, or a 12 second clip when you press the MagicKey. Take note though, the G Sensor may not be turned on by default, so footage of a collision will not be protected automatically. Although a smartphone isn't required to record footage, it will allow you to playback the videos and change important settings. The first thing you will need to do is download the Goluk app from the Google Play/Apple store. This should be easy to find by entering the search term "Goluk". It is worth noting that the app requires a lot of permission on your phone, so if security/privacy is a major concern, you may want to avoid this dash cam. After the app has been downloaded, you will need to run it. The app may ask for you to enter a phone number, but as far as I am aware this is only used for verification purposes. You may be taken to a "Featured Videos" screen, in which case you will need to press the blue circle at the bottom. When the app has loaded, it will ask you to connect to the dash cam via Wi-Fi. Make sure it is turned on, then click "Go to WiFi" and connect. If you are asked for a password, enter 123456789. If any problems are to arise, such as this password being incorrect, reset the Goluk by pressing and holding the "Reset" button for 6 seconds. It might take a minute or two for the two devices to connect, but when this is done you should be able to see a live broadcast from the dash cam, and a large red circle underneath. This red circle acts the same way as the magicKey, and will save 12 seconds of footage. The app will also load the videos on the SD card underneath this live footage. The icon in the top right will take you to the settings menu, while tapping the small video on the right takes you to the playback menu. You are now ready to drive, and the Goluk will continue recording in 3 minute loops, but we first recommend changing some of the settings. Tap the blue circle at the bottom of the screen. From here, tap "Go to Wifi" and turn on your phones WiFi setting. 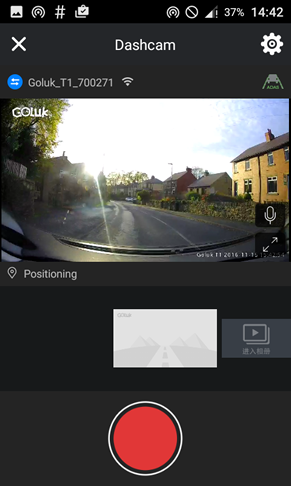 Select the Goluk option to connect to the dash cam. Go back to the app, and wait for the devices to connect. When your smartphone has connected to the dash cam, you will see a live broadcast. Now everything is ready, you can use the adhesive pads included in the box, to stick the magicKey in a convenient place, such as the steering wheel. Make sure to pull the plastic tab from the back of the button to activate the battery. 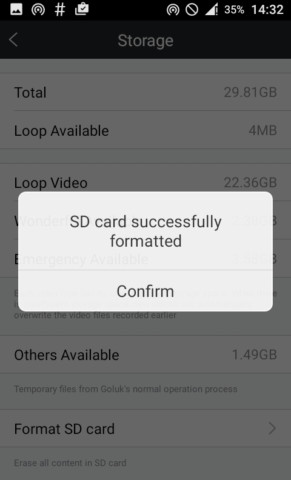 Important: With any first time set up, you should begin by formatting the SD card (make sure the card is empty as this will wipe all the current data). To do this, tap the icon at the top right of the screen. 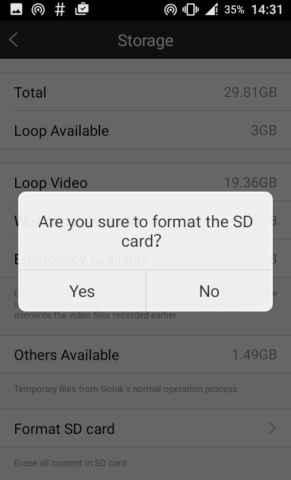 From here, you need to tap "Storage", then "Format SD Card", and finally tap on "Yes" to confirm. Begin by entering the settings menu, and tapping Storage. From here, select "Format SD Card". Select yes to confirm. Make sure there are no important files on the card, as they will be deleted. This will only take a short amount of time. The very next thing you will need to do is change the G Sensor sensitivity. By default, the G Sensor is turned off. We feel this is a bad move from Goluk, as the camera will not automatically detect a collision without first changing this setting. To do this, enter the settings menu, and scroll down to G Sensor sensitivity. We suggest either low or medium, as during testing, the high setting was picking up potholes and sharp corners. The settings menu for the Goluk is easy to navigate, as there aren't many options in comparison to other dash cams. All the menu options are briefly outlined below. 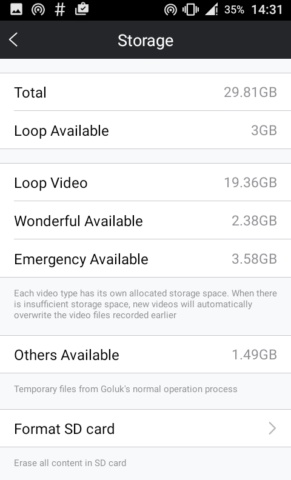 Storage - Here you will see the total storage available on the microSD card, as well as how much space is being taken up by each video type. When the SD card fills up, the earliest loop video will be overwritten first. In this menu you can also format the SD card. 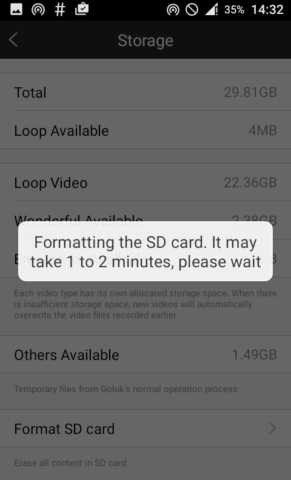 It is recommended you format the card as soon as you purchase it, as well as each time video is transferred to your PC, but remember formatting an SD card will wipe the current data. Loop Video Quality - Here you can decide the loop recording resolution, the choices are 1080P High or 1080P Medium. I recommend 1080P High, as this will provide you with the best quality footage available. It is worth noting, this setting only changes the loop recording resolution, not the 12 or 18 second emergency clips. 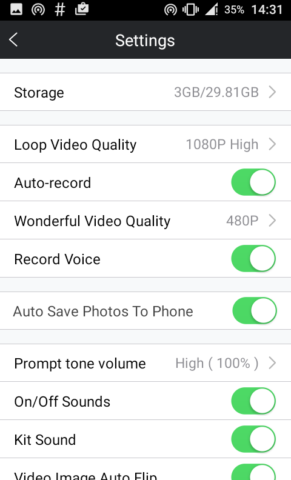 Wonderful Video Quality - This refers to the video clips you manually capture, either by pressing the magicKey or tapping the red circle on the smartphone app. Your two options are 480P and 1080P, again I recommend the higher quality 1080P option. 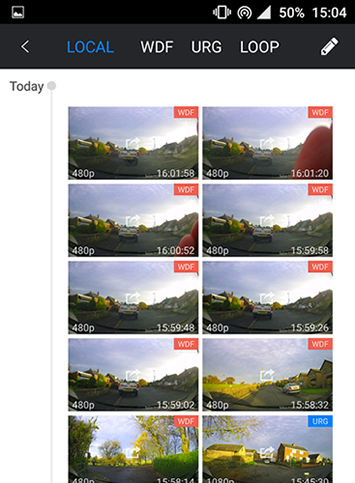 Important note: When testing for the Goluk T1 dash cam review, manually recorded footage was only saving at 480P. Changing the settings and resetting the dash cam didn't seem to fix this. G-Sensor Setting - This accelerometer detects a change in gravity forces, and protects the important loops. If you find the footage is locked by potholes and speed bumps, consider reducing the sensitivity of the G-Sensor. The choices are Closed (off) Low / Medium / High. For our test, Medium was the best setting to use. Video Image Flip - When the camera is turned upside down (to record the inside of the car) the video is flipped. I suggest setting this feature to "On". Delay Shutdown Time - The dash cam will automatically shut down after 10 or 60 seconds. Time Setting - Allows you to auto-sync the time with the smartphones clock. Reset - Tapping this option will reset the Goluk to factory default settings. Parking Guard - When parked the Goluk will turn on Motion Detection, automatically recording video when movement is detected. During testing it took the dash cam around 20 minutes to detect the vehicle was parked. For this reason, the setting is a bit useless for short stops, but could certainly come in handy when parking for longer periods of time. The Motion Detection was fantastic, but the Vibration Detection Mode didn't seem to function, even when shaking the car. Whenever the Goluk sensed vibration, it thought the vehicle was moving, making this mode obsolete. For this reason, I would not trust this dash cam to protect my car while parked. If you want to use this function, you may need to hard wire this camera to your vehicle as the internal battery life is quite short. Warning: The Goluk T1 is a great looking dash cam, which could attract unwanted attention from thieves. For this reason, you may want to unplug and hide the camera if parking for a long period of time. It's no use recording a criminal if they run away with the evidence. 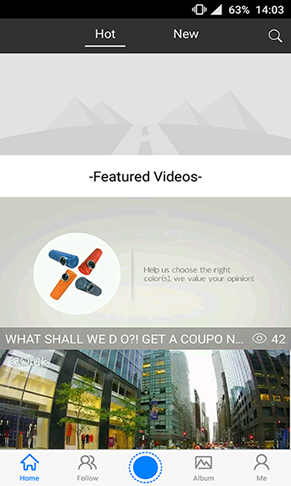 Below, we have added a video testing the Goluk T1 dash cam footage. For this test, we have attempted to cover both bright light, and night time driving. These videos are linked from Youtube, so clicking on the screen icon in the bottom right of the video will allow you to view the video in full screen mode. Goluk T1 Daytime Footage - This video contains footage taken during the day, with the 1080P High quality option selected. Overall we found the Goluk T1 video quality to be a bit disappointing, given it's fairly high price tag. The quality is certainly adequate for insurance purposes, providing you with a decent enough view of the surroundings. However, it is pretty much impossible to make out number plates of oncoming cars, unless they are within a couple of metres. The night time footage is comparable to most other dash cams, poor in terms of sharpness and quality, but certainly good enough to use if an accident was to occur. Although the price is fairly expensive for a dash cam, you must remember it is reasonably low in terms of digital video cameras. For that reason, the footage is never going to match up to that of a higher priced camera such as the Go Pro series. Don't be attracted to the "Full HD" or "1080p" labels on dash cams, as most of the time these don't give an accurate impression of the video quality you should expect, and are often just advertising key words. If you want an idea of the video quality the Goluk T1 delivers, make sure to watch the video above. For a comparison, check out or footage of the cheaper Maisi smart, driving the same route. To enter the playback menu, tap on the furthest right of the smaller videos at the bottom of the screen. You should now see four headings at the top, displayed as Local, WDF, URG and Loop. Under "Local" you will find all of the Goluk videos currently on your phone. These files are automatically be copied from the SD card to your phone when the app is loaded. The WDF heading stands for "Wonderful" video. This is referring to any footage you have manually protected by either pressing the magicKey, or tapping the red circle on the phone app. URG refers to "Urgent" video, and contains all the clips automatically protected by the G Sensor. Finally, the Loop heading features all of the 3 minute clips recorded by the dash cam. When the SD card fills up, the oldest of these are overwritten by the new footage. Simply tap a video to play it. When playing back footage, you can tap the bottom right icon to enter full screen mode, or tap the bin icon to delete the file. The pencil icon in the top right corner also allows you to select and delete any of the videos. Make sure the dash cam is switched off, then remove the microSD card. 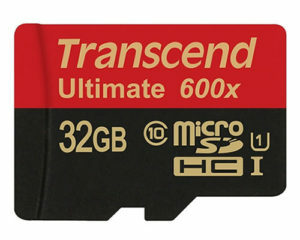 This card should then be inserted into your laptop or computer, with the use of an SD card adapter. When the SD card is plugged in, your computer should notify you. Open up the folder and simply copy and paste the files over to a location on your PC. The videos will be organised into different folders depending on the type of footage recorded, with the 3 minute loops located in the "Normal" folder. Most manufacturers suggest reformatting the MicroSD card once this has been done, but remember this will delete all the files on the card. It is also worth noting that the "URG" and "WDF" videos are automatically transferred to the phone, so this can be another way of transferring them to your computer. When playing back a video, you can tap "Edit short video" at the bottom to enter the video editor. By tapping on the lower video, you can select "split" to cut the video up, and even delete sections. If you would like to add another clip, tap the + icon to the right hand side. This editor is very simple and intuitive. You also have the option of adding one of the audio tracks, these are selected at the bottom. Once you are happy, tap "Next" and choose the export size. When the new video has been exported you can share this via social media, as long as you have an internet connection. Our first impressions of this camera were very positive. Straight away, you can see the Goluk has an attractive yet subtle design, and a lot of care has gone into the packaging and presentation. A quick read of the manual or documents will tell you that these haven't been translated very well from Chinese, but that isn't much of an issue as everything is easy to understand. The camera fits very nicely into its holder, and can be twisted to record inside or outside the vehicle. The power adapter has 2 USB slots, allowing you to charge a phone or use a sat nav while powering the dash cam, and the USB cable included is very long. My favourite feature of this dash cam is the "magicKey". When stuck on the steering wheel or dashboard, it is very easy to manually protect any footage you like. It is a difficult and fairly dangerous task trying to press a manual lock button on most car cameras, but the Goluk T1 completely solves this problem. This makes it very useful to capture incidents that do not involve your vehicle directly. At the time of writing, the seller is offering a 3 year warranty on the camera, a fantastic bonus. However, this is where the positives end. 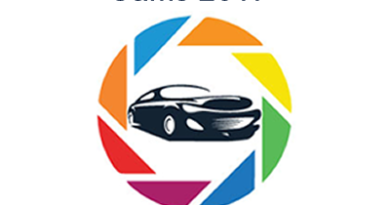 After our initial admiration of the design and presentation, we took the camera to the car to try out. The Goluk requires you to download their app in order to fully use the product, so I checked out the Google play store. The Goluk app is very easy to find, but unfortunately is rated only 3 stars. Some users may also be alarmed at the permissions requested by the app; access to pretty much everything on the phone. You also need to type in a phone number, something I was reluctant to supply to this intrusive app. The app was then loaded, WiFi switched on, and the dash cam powered up. 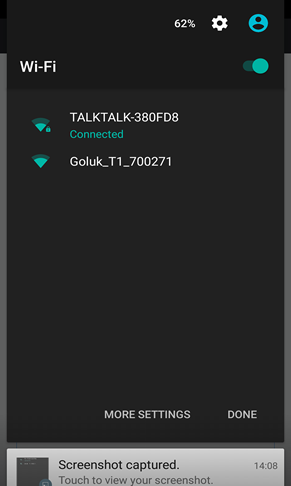 The Goluk appeared in the WiFi menu instantly, but would not connect on the first attempt. A few minutes later, I decided to reset the dash cam and try again, with no success. It took a few attempts before the connection was finally made, not quite the plug in and go you expect from a dash cam. Once this connection was made though, it remained stable for the entire test. Another problem was with the "Wonderful" videos. These short clips would only save at 480p regardless of how many times I changed the setting to 1080p or reset the dash cam. It would also be nice to change the loop length, but this seems stuck at 3 minutes, not a major problem. The final issue we had with the camera was at the end of the test. As I attempted to enter the menus while footage was saving, the app completely crashed, forcing me to reset the phone. Fortunately, the footage was saved on the SD card. A word of warning. By default, the G Sensor on the dash cam was turned off. If I had not turned this on manually, footage wouldn't have been protected if there was a collision. Although this review may sound like I dislike the Goluk, this is certainly not true. Once the app has been set up, it takes little effort to use. It is also worth noting Goluk are updating the app regularly, so you should expect to see decent improvements over time. I certainly respect the manufacturer for trying to innovate and improve the way dash cams are used. My main problem with this camera, is that I can't see where your money is going. The resolution is very similar to the Maisi Smart, but the Goluk T1 will cost you £20 more. 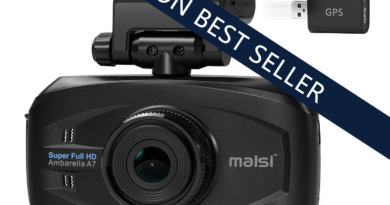 The Maisi has far more features including; GPS tracking, options for 2k or 60fps video, and a fantastic screen. 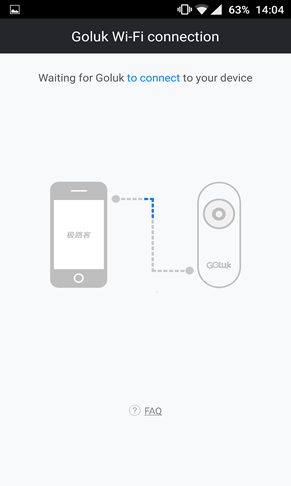 In comparison the Goluk has a smaller/sleeker design, built in WiFI, and a magicKey button. The button is a great addition, but I'm not yet convinced by dash cams without screens, especially if it's costing you more to buy. In my experience, these types of dash cams take longer to set up and are less reliable. From the car cams we see on the market, WiFi is currently more of a gimmick than the future of dash cam technology. That isn't to say that this won't change over time, but the Goluk feels more like a step to the side than a step forward. In the near future, dash cams may even be built into cars straight from the factory, and linked up to the screen on the dashboard. If the slight issues with this camera are fixed, we could be looking at a very strong competitor in the dash cam market. To improve this camera we would like a microSD card included in the purchase, to avoid both the confusion and hassle of buying a compatible card. EDIT - At the current time of writing, Goluk now include a free 16GB microSD card with the dash cam. Although I would prefer a screen on the dash cam (or at least a way of changing settings without using a phone), I can understand how removing the screen can be a positive for some people, especially in terms of vision obstruction and camera design. If this is you, the Goluk T1 is a great dash cam once it has been set up, just remember to turn the G Sensor on with your smartphone before driving. I feel as though the Goluk T1 is trying to be more of a leisure camera than a protection device. It is unwise to target this audience though, as the "Wonderful Video" doesn't live up to that advertised, and therefore will not satisfy the needs of the customers. Unless they include the video quality of the Go Pro Silver built into a dash cam, manufacturers should stick to offering devices to protect the driver and keep them safe on the road. 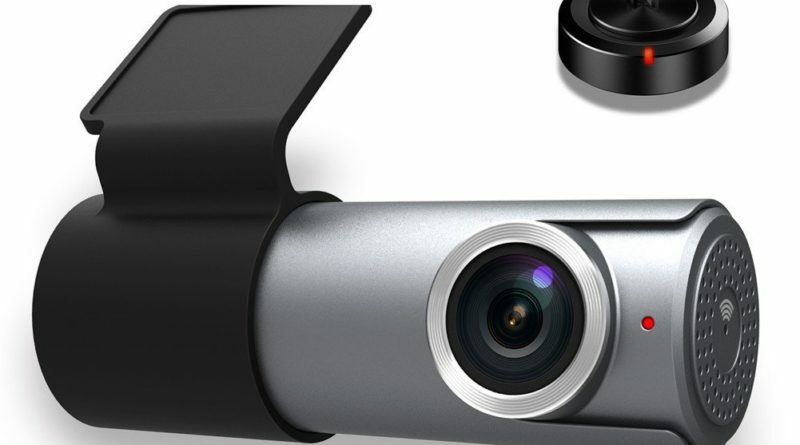 If you are a fan of WiFi dash cams, the Transcend DrivePro 200 or DrivePro 220 are also worth looking at. 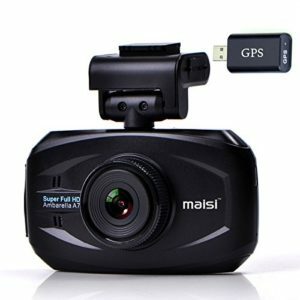 For a cheaper dash cam with similar resolution, GPS tracking, and a screen, you should consider the Maisi Smart. Goluk T1 Accessory Kit - This kit contains everything you will need to use for spares, and is ideal for using the Goluk T1 in another vehicle. It includes 1 wireless remote, 1 dash cam mount, 1 vehicle power adapter, 1 USB cable (4m), 8 cable routing clips, and 3 adhesive pads. 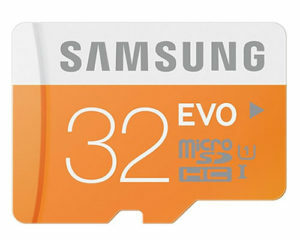 Samsung Evo 32GB Class 10 - This microSD card has a superior write speed, allowing it to store high resolution video footage. Make sure to purchase from a reputable seller rather than a third party vendor. For a longer life span the Transcend Ultimate uses superior NAND flash (MLC rather than TLC), offering greater reliability and longevity.